With warmer weather, and longer days, all my 5 yr. old wants to do is play outside. Although, he has a swing set with slide in our backyard I wanted him to have a sensory play area. We have an area in our yard that was not being used. 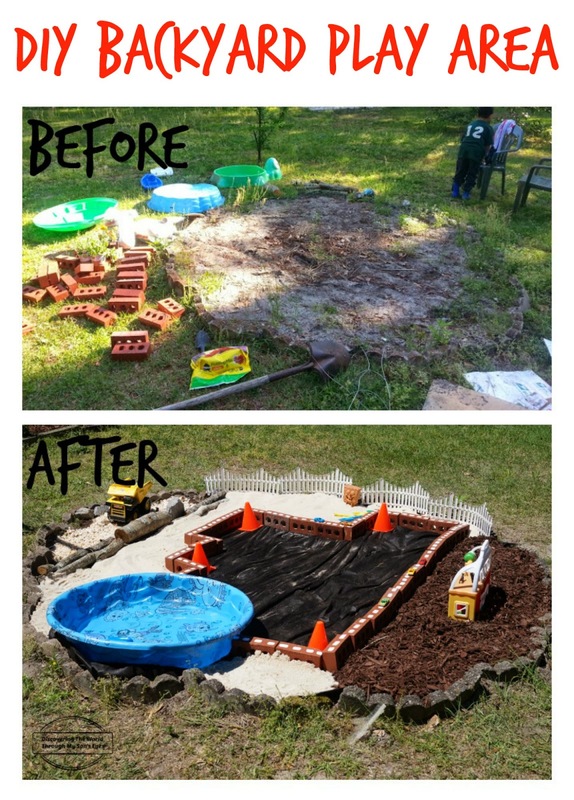 We also had an old sand box, a small kiddie pool and I had a vision: a do-it-yourself backyard play area!! This project took me three hours to finish. Most of the materials I had at home, others I purchased. You’ll need bricks, sand, pebbles, wood, mulch, weed control fabric, and plastic white picket fences. I covered the area with weed control, and divided the area: one with mulch, one with pebbles, and another with sand. I painted the bricks with white stripes to make it look like a street, and for the final touch some toys! Welcome to the Second annual Backyard Barbecue Bloghop! I’m excited to join a wonderful group of bloggers in the 2nd Annual Backyard Barbecue Bloghop! Last year I shared with you a post on grilling season. 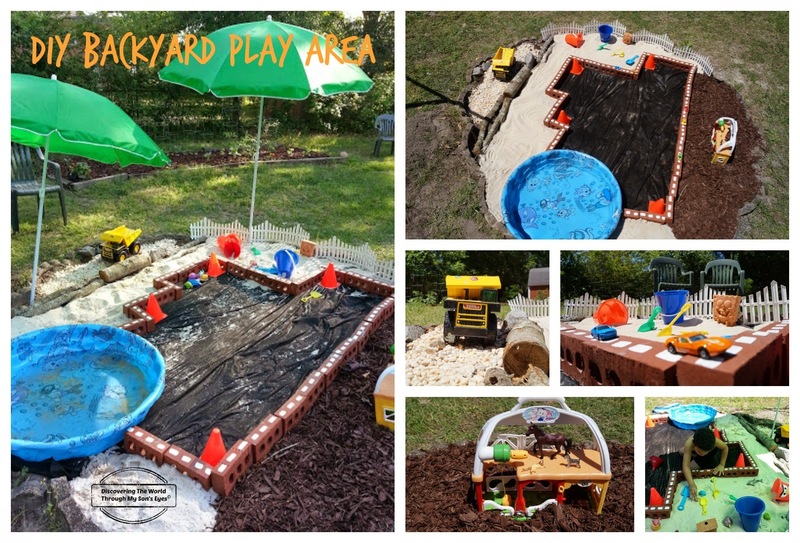 This year I’m excited to be sharing a do-it-yourself backyard play area. Be sure to visit all of our co-hosts to see their amazing posts for fabulous ideas for family fun this summer, and be sure to share yours at the end! This is so cool Frances!! Our new home is being built right now and I keep visiting it and looking at the yard trying to figure out how we'll set up the space. This is a brilliant idea! 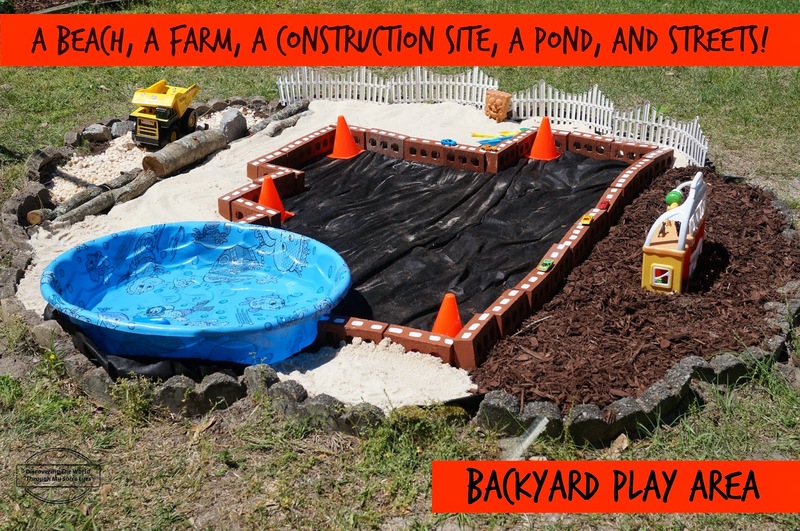 Wow – my son would love this! Fantastic idea to use the bricks as a road. I want to have a play! What a great idea! So much opportunity for pretend play! This is the coolest! I bet he loves it!! Thanks for co-hosting again this year!